I recently read a news report about a hot new Facebook App called “If I Die,” and as the name implies the app will update your status once you are dead. The idea is that you can type a message and then you assign three separate trustees to your account. If one of your trustees reports your passing, the other two trustees will be contacted to confirm that you have indeed “bought the farm.” As a safeguard, the company will attempt to contact the deceased via e-mail to insure that they are, in fact, dead. Your posthumous status can include text, pictures, or video and the customer can release all the material consecutively or concurrently. The company suggests that you can leave words of wisdom, reveal a long kept secret, or simply settle old scores. You can even pre-record the message through a webcam and leave it on YouTube until the time is right. The content and the timing are up to you. The product has received mixed reviews from the public. A Colorado news station interviewed several locals and the reactions ranged from disgust to admiration. One woman was convinced it would be the perfect way for her Facebook friends to find “out the truth about everything I felt towards them.” Another felt that such brutal honesty was in bad taste and would have no positive impact on how people remember you. To the woman who liked the idea of settling scores, I would suggest that de-friending some of these people might be preferable to nursing a grudge for two decades on the slim hope that you will pass away while the objects of your scorn are still alive and have active Facebook profiles. If you are that angry, a pipe bomb or planted narcotics may provide a more immediate return on investment. Can you imagine trusting career, marriage, and campaign-ending revelations to a Facebook app? It is, perhaps, the most brilliant form of blackmail I have ever seen. It has all of the persuasive implications of a Scientology cleansing session without the prohibitive fees. Do you really trust the makers of Farmville enough to place the unveiling of your sexual orientation, illegitimate children, or Disney-themed buttock tattoo in their hands? What happens if there is a glitch and your confessions gets mixed up with someone else’s? You might have meant your last Internet contribution to be a comforting word to your children and instead you are confessing to a string of unsolved prostitute murders in Albuquerque. To prevent something this from happening, another company will soon begin offering a complimentary app called If I’m Still Alive. 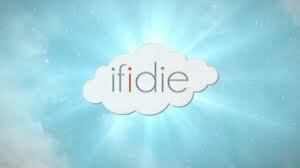 This app will monitor your inbox for you to insure that your If I Die notification is automatically responded to. Of course, this application would also require trustees to disable it in the event that you actually did perish and since you would not want to utilize the same three trustees (in order to prevent the aforementioned “prank death” scenario) you would select a totally separate group of friends who would be unlikely to fall into cahoots with the original group. By this time, you will have realized that you are incredibly fortunate to have two totally separate groups of friends that are trustworthy enough to be given control of your darkest secrets and as a result of this soothing epiphany you no longer find it necessary to leave angry posthumous messages.